Same as M1-B but designed for the shorter piston tube of many Hungarian AKs. Replaces original piston tube and clamps directly to barrel for maximum stability and accuracy. 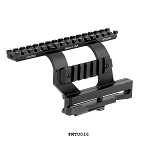 Solid, one-piece 6061-T6 hard anodized aluminum body. Includes barrel clamps of 4140 steel, screws, Allen wrench and instructions. A rock-solid platform for your premium optics. Will not fit, and cannot be made to fit, "Krinkov" type weapons. The UltiMAK M7-B adds critical functionality to this AMD-65. This semi auto version makes an excellent sporting weapon. The shorter AK, with its folding stock, was originally designed for motorized units. It's smaller size makes it easier to handle in the confined spaces of troop carriers, aircraft, and other vehicles. It uses a 20 round magazine (shown) for the same reason, but it will take the 30 round mags too. The ventalated metal "forend" required some minor fitting to make room for the mount and barrel clamps. This was easily accomplished using a Dremel tool, finishing afterwards with some cold bluing compound. The primary purpose of the extended muzzle break, in this case, is to get the barrel length up to the minimum 16 inches required to (apparently) render the firearm unsuitable for criminal or nefarious applications in the U.S.. Certainly though, this little weapon is handsome, accurate, tough, potent, reliable and affordable, not to mention extremely cool (when was the last time you said that about a politician?). This entire package with UltiMAK mount and Aimpoint CompC reflex sight, several spare magazines, case, and a small supply of ammo, cost less than a thousand dollars. *Fits most Romanian Draco pistols and Short Barreled Rifles as is. For some Dracos, the mount will need to be shortened slightly at the front. In other cases it is reported to be a little "too short" on a Draco, which tells us it's a proper fit. In either case, the M7-B is the correct mount for your Romanian Draco. Will the UltiMAK M7-B Optic Mount fit my rifle? The UltiMAK M7-B Optic Mount has been engineered for compatibility ONLY with particular AKs that have shorter-than-standard gas tubes. These shorter gas tubes will measure approximately 5 and 7/8 inches. We say "approximately" because AKs tend to vary slightly. This measurement can be taken only with the gas tube removed from the rifle. The vented, stamped metal forend as found on the AMD-65 curves inward at the top, and will need to have some of this top portion removed to make room for the mount and clamps. Placing the mount over the forend and marking the forend with the location of the two clamping positions with a pencil makes for an easy and accurate grinding job. A 3/8 to 1/2 inch diameter grinding stone on a Dremel tool makes easy work of this, and took only a few minutes. 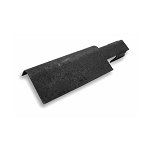 Synthetic or wood forends typically need no modification. All UltiMAK AK mounts are designed to be slightly shorter than the original gas tube. This helps in two significant ways. 1. It ensures a fit on your AK without custom fitting, which would require cutting through the hard anodizing-- a nasty process that will ruin all but the best carbide tools. 2. More importantly, the shorter tube can be mounted so it does not press against the rear sight block or the gas block. In this way, the mount is not jammed against any part of the barrel assembly at either end, and the barrel can expand and contract with temperature changes without changing point of impact. 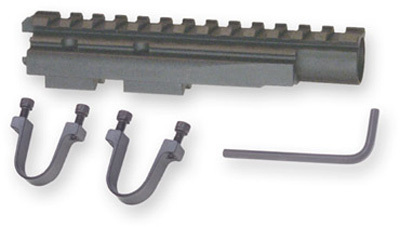 Several customers have indicated an improvement in accuracy after installing UltiMAK mounts on their rifles. There are some badly assembled rifles, and some rifles that are at the extremes of AK dimensions. If you cannot make your UltiMAK Optics Mount fit and function, you may return it to us (undamaged) and we will cheerfully refund your purchase price. 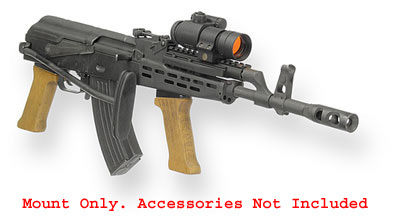 Alternatively, trade your crooked AK in for a straighter one, and enjoy the benefits of the UltiMAK system. The M7-B will not fit, and cannot be altered to fit, the super short "Krinkov" type AKs. 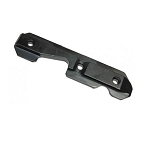 For the Knrinks (AKS-74U type) use our M-13 optic mount.